LOS ANGELES – Residents of all ages can line dance, express their inner artist, play sports or learn everything from how to cook to sign language — all for free — at Los Angeles County parks this summer as part of the Parks After Dark program starting this Thursday. The program has been expanded to 33 parks countywide, including George Lane Park in Quartz Hill, Jackie Robinson Park in Littlerock, and Stephen Sorenson Park in Lake Los Angeles, according to Supervisors Hilda Solis and Kathryn Barger. View the complete list of participating parks here. 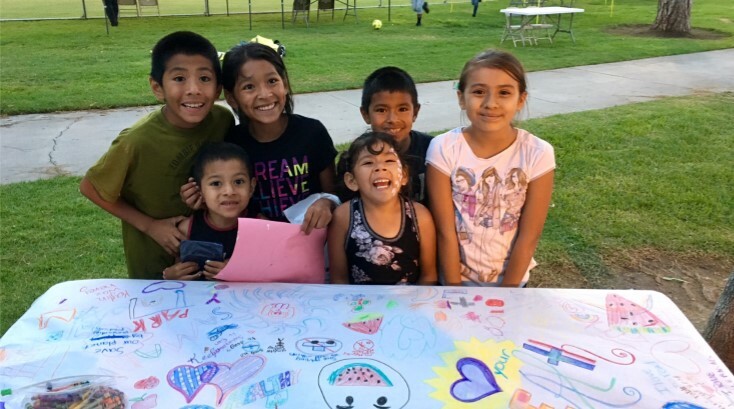 Parks will remain open from 6 p.m. to 10 p.m., Thursdays through Saturdays, from June 14 to Aug. 4, under a partnership with the sheriff’s department that aims to move local gangs out of community parks and bring neighbors together to enjoy free activities. Nighttime programming better suits the needs of busy residents, and Parks After Dark opens up the parks to families who used to feel unsafe there, Barger said. A wide range of games, classes, sports and indoor and outdoor events are available. Schedules of activities for each park can be found here. In a video about the program, a mother said that during the rest of the year, she can only afford to let one of her children play sports. “Regular season, I have to choose which of my kids gets to play basketball, soccer, baseball,” Veronica Cortez said, excited about her whole family getting a chance to play for free all summer long. Parks After Dark has been shown to reduce crime, and participants give the program good reviews. “Parks After Dark builds resilient communities across Los Angeles County,” said John Wicker, director of the Department of Parks and Recreation. Health and social service agencies will also offer resources, and the program created jobs for 330 teens and young adults who were hired during county job fairs and will work as recreation leaders and help with summer camp activities. 2 comments for "Parks After Dark program kicks off this week"
The city parks don’t have a special “after dark for the summer” program because they are always open until ten. Actually, I only really know that Domenic Massari Park is, but I’m pretty sure they are all the same. You should be able to access activity schedules through the city website.